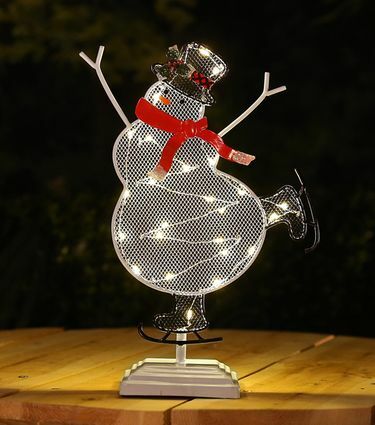 This LED snowman statue will skate through your merry wonderland and melt your heart! Illuminating this holiday season with his white LED lights, he is sure to add warmth and cheer to your holiday space! Simply set his timer and he will light up for you automatically every day! Timer technology lights up the statue automatically every day. Lights up for 6 hours every day. Requires 3 AAA batteries (not included).